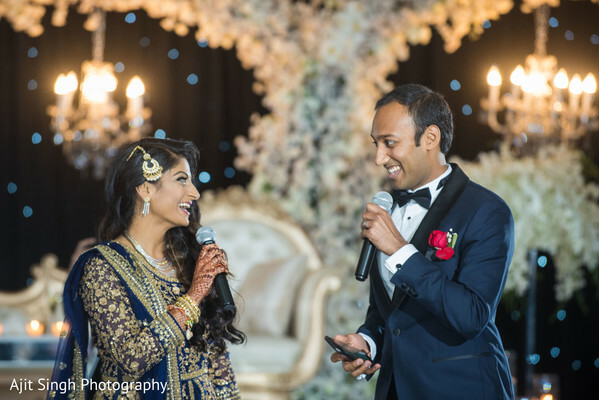 To wrap up the sensational celebrations, Pearls Event and Co. planned a joyful evening celebration for Nirali and Aashish that featured an elegant travel theme! 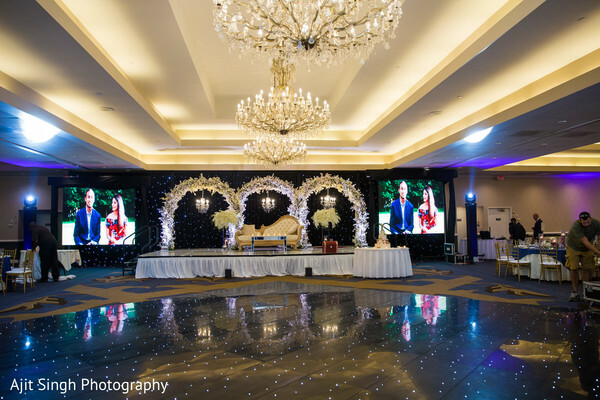 The grandiose Sheraton Parsippany Hotel welcomed all the partygoers and accommodated them in a majestic hall for the momentous occasion. 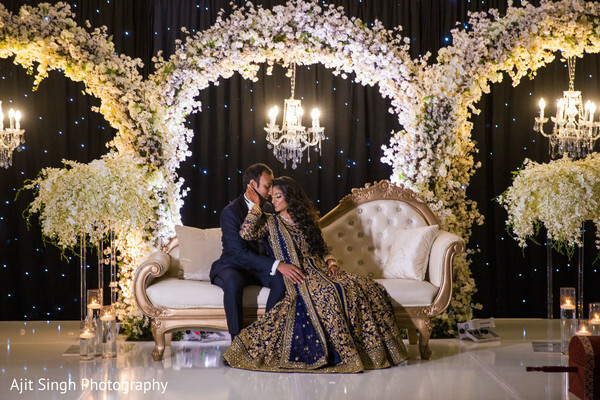 Nirali Decor drew inspiration with an original structural flower stage against a midnight sky backdrop and kept the venue decorations elegant with marvelous florar centerpieces. 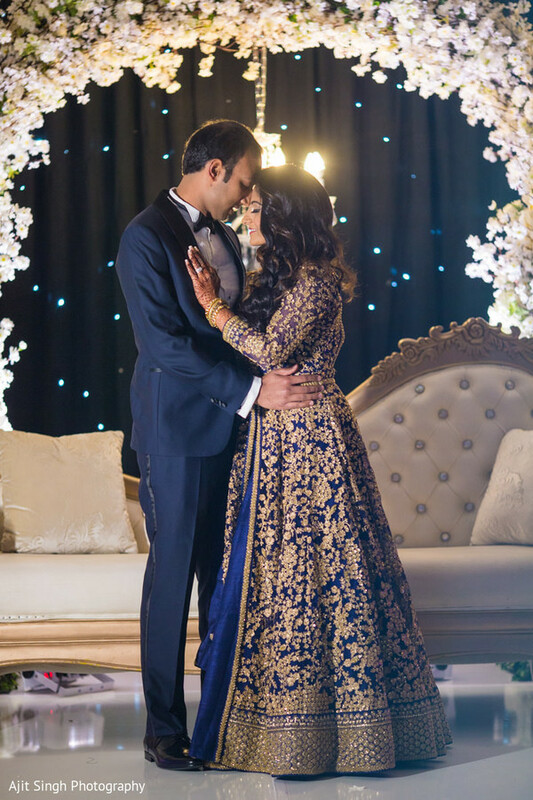 Aashish flaunted all his gallantry with a blue tuxedo suit while Maharani Nirali, all dolled up by Aysh Makeup, showed off a perfectly coiffed side swept hair combined with a glowing makeup look. 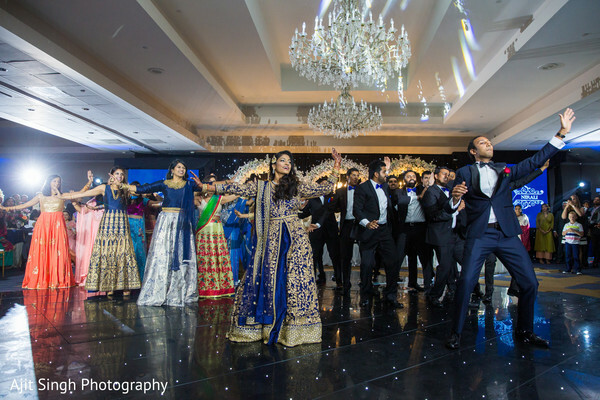 The talent of the award-winning M4U Events kept the beat going all night, while two big screens displayed the couple’s sweetest images! 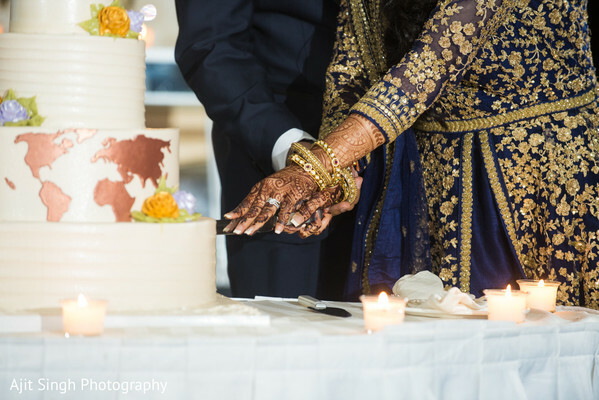 The dance time was a huge success as well as the map-themed wedding cake for this world-traveler couple! 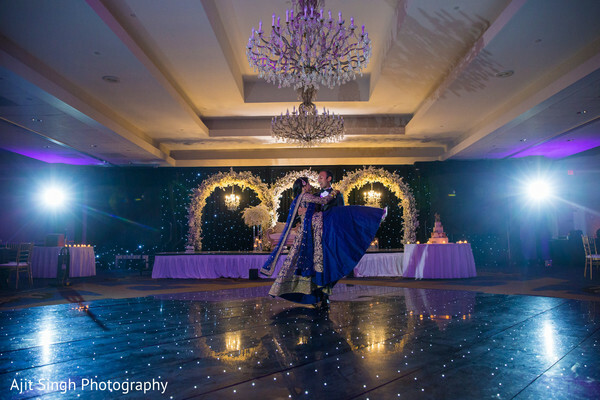 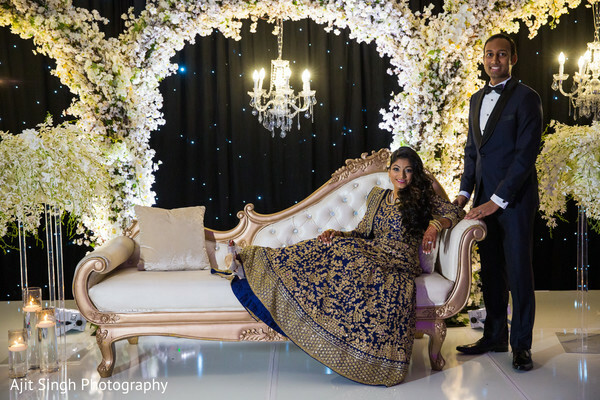 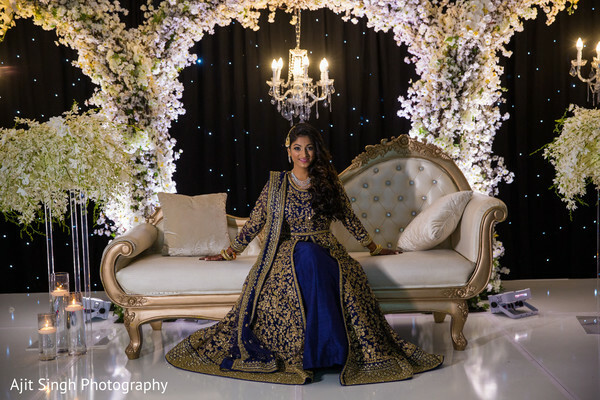 Ajit Singh Photography captured the fab reception photos, so don’t get behind and enjoy all the romantic beauties of this soiree in our full gallery! 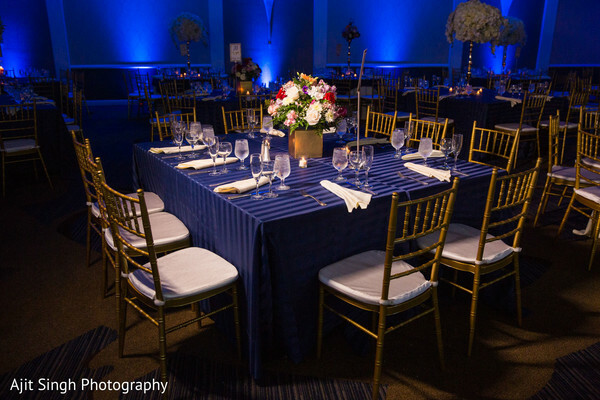 Hope you all have a joyous Wednesday!